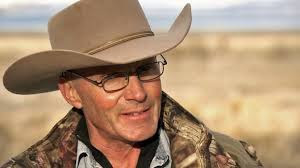 He tended herds, rather than serving the state: LaVoy Finicum, a man in full. Somewhere there are still peoples and herds, but not with us, my brethren; here there are states…. Destroyers are they who lay snares for many, and call it the state…. The late rancher LaVoy Finicum sought to elude the state’s armed enforcers, but he wasn’t attempting to evade the law. His intent, as he explained clearly and repeatedly to OSP troopers before the lethal ambush at a roadblock on Oregon Highway 395, was to travel to John Day to meet with Grant County Sheriff Glenn Palmer, who could have taken him into custody, if just cause existed for that action. Finicum, who nurtured a winsome if misguided faith in the Constitution, entertained the hope that Palmer might be a peace officer who was willing to act in the name of the people, rather than enforcing the will of the state. If the objective of the FBI and the OSP on January 26 had been to arrange the peaceful arrest of Finicum and his associates, they would have reached out to Palmer. The destination of the convoy was known, as was its purpose – to convene a town hall meeting, not to commit a violent offense. Rather than coordinating with Palmer, the FBI and the local lickspittles in uniform deliberately ignored him, and withheld any information about the plan to interdict the convoy. This is because Sheriff Palmer is seen as a “security leak” owing to his sympathies with the ranchers and other residents of his rural county who have been driven into destitution by the federal government. Staging a combat-grade operation – spearheaded by the FBI’s official death squad, which bears the trans-Orwellian title of “Hostage Rescue Team (HRT)” – was the riskiest way to carry out an arrest. It was, however, the most effective way to exert the supposed authority of the federal government. This is also why the HRT, at some risk to the passengers in Finicum’s vehicle and the OSP officers on the ground, tried to assassinate Finicum after he attempted to run the roadblock. Malheur County District Attorney Dan Norris (about whom I’ll have much more to say below) points out that three shots were fired by OSP officers as Finicum approached the roadblock at an estimated speed of 70 miles per hour. Three more shots were fired into the victim’s back after he exited the truck, killing him. Absentee Malheur County DA Norris at the March 8 press conference. That unlawful action, which combined murderous intent with government-grade marksmanship, was compounded by the FBI’s reflexive institutional mendacity: The HRT Stormtroopers who fired the shots concealed that fact from the investigation, and their comrades joined in that conspiracy of obstruction. Norris carefully, and repeatedly, emphasized that while he found the six shots fired by the OSP to be “justified,” he was leaving the matter of the shots fired by the HRT operators in the hands of the Justice Department’s Inspector General and the Deschutes County Sheriff’s Office. Finicum had been shot at three times while approaching the roadblock-- a fact demonstrating that combat protocols, rather than “civilian” deadly force standards, were in place. As he exited the vehicle, Finicum was nearly killed before he was given an opportunity to submit to arrest. Much is said about the “reasonable officer” standard of deadly force, and correspondingly little attention is paid to the perceptions of those who are targeted by such force. When the HRT attempted to kill him as he exited the vehicle, Finicum – like any reasonable person – most likely assumed that his captors intended to execute him. Although this may not have been what the OSP had in mind, it was clearly what the HRT intended. Just as the OSP and Deschutes County Sheriff’s Office didn’t share their plans with Sheriff Palmer in Grant County, the HRT operators weren’t on the same page as the OSP troopers at the roadblock. Whether this reflects premeditation or pathological improvisation is impossible to tell at this point. The fact that the HRT operators conspired to conceal their actions argues strongly for the first possibility. Obstructing an investigation is a felony. It will not be treated as such by the IG’s office, of course, owing to the inexhaustible privilege enjoyed by the Regime’s hired killers. 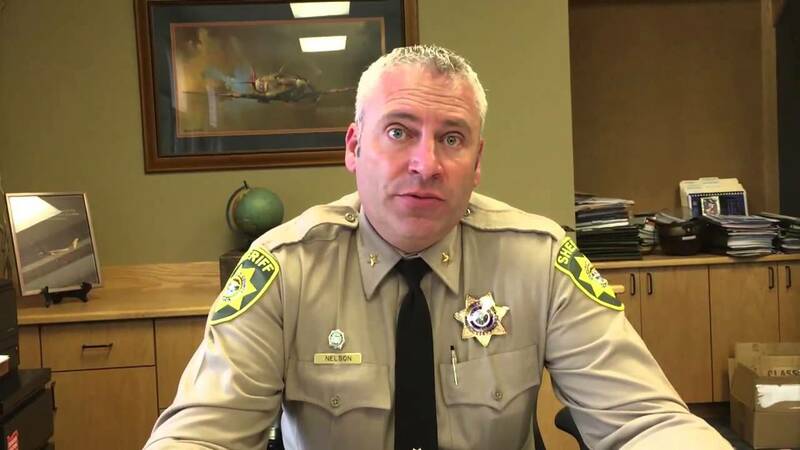 If Deschutes County Sheriff Shane Nelson is burdened with dangling anatomy, he will press charges against the HRT operators who sought to conceal evidence of a clearly unlawful attempt to kill LaVoy Finicum. Nelson, who presides over a department riven with turmoil, is up for reelection and facing two challengers. This means that he may be susceptible to local pressure to hold the HRT accountable. Like nearly every other “local” sheriff, however, Nelson is severely compromised by his office’s deep entanglement with the Feds. Last October, Nelson placed Captain Scott Beard on “administrative leave” (that is, paid vacation) after he was accused of embezzling from the Central Oregon Drug Enforcement Team, a federally subsidized asset forfeiture soviet. Beard, the Detective Division Captain, was in charge of all transactions of the so-called CODE team, which plundered the county on the order of $100,000 or more each year. In February, Beard was indicted by a federal grand jury on charges of stealing more than $200,000 from the forfeiture fund. If Nelson doesn't do anything to upset the Feds, this ugly business might stop with Beard. This gives Nelson a ready excuse to withhold public disclosure of details that could reveal corruption and incompetence in his office’s management of money and property that often were seized from people who had never been accused of a crime. It also gives the Feds leverage to use against him in the event that Nelson entertains ideas about prosecuting the HRT operators who tried to kill LaVoy Finicum as he exited his truck – and then obstructed the investigation into the subsequent fatal shooting. Nelson is not the only key figure in this matter who has been severely compromised by forfeiture-related corruption. Malheur County DA Dan Norris, chosen as special prosecutor to investigate the Finicum killing, unlawfully diverted tens of thousands of dollars in cash that had been seized by the Malheur County Sheriff’s Office from William Esbensen, the former owner of a medical marijuana co-op called the 45th Parallel in Ontario, Oregon. In 2014, Esbensen was prosecuted, and convicted, under an expired state anti-marijuana statute that was dead letter law even then. During an April 10, 2013 County Commission meeting, according to the County Court minutes, “Mr. Norris suggested that a portion of the forfeiture funds in the task force budget could be used to assist” in paying for the services of an outside prosecutor – from Deschutes County, as it happens – named Mike Dugan. When the Commission balked at the prospective costs of the prosecution – which seemed to increase every month – Norris invited Dugan to address the body. Norris and Dugan were using the prospect of an immense forfeiture haul to sell a skeptical Malheur County Commission on an unnecessary and legally invalid marijuana prosecution. No adequate accounting as ever been made for the forfeiture-derived funds used to prosecute that case, and with good reason: Under the federal “equitable sharing” program, it is illegal to divert forfeiture proceeds in that fashion. When this matter came up during the post-conviction restitution hearing, Norris sprang out of his chair as if he had suddenly discovered a cobra nesting in it and blurted out an objection. Trial Judge Gregory Baxter, offended by defense attorney Susan Gerber’s effort to examine the prosecution’s dodgy bookkeeping, gaveled the hearing to a close. Within an hour Dugan filed a motion in limine to forbid any examination “regarding the use of County General Funds,” which included the forfeiture proceeds. A week later, Judge Baxter, using a contrived rationale to justify an official cover-up, granted that motion. In addition to the illegal transfer of forfeiture funds, Norris is implicated in the matter of a rather substantial amount of confiscated marijuana for which the county has never given an adequate accounting. 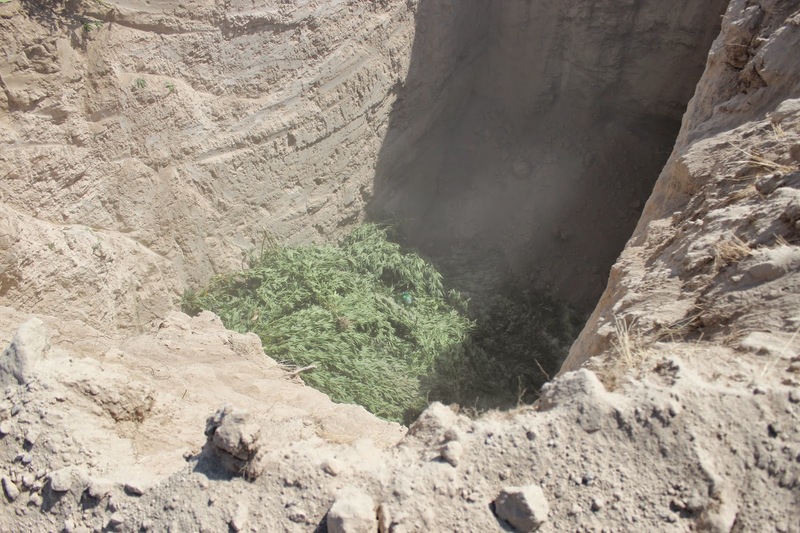 The 45th Parallel case began on September 11, 2012, with raids on at least eight large marijuana grow areas. At the subsequent press conference, the confiscated marijuana was triumphantly displayed in front of the Malheur County Courthouse in Vale: The trophies filled the entire parking lot. Rather than burning the seized weed, former MCSO Detective Brad Williams, the lead investigator, arranged for its burial at a local landfill. Photographs obtained from the sheriff’s office documented the disposal of a paltry amount of marijuana that was barely sufficient to cover a card table, let alone a parking lot. Nobody has ever explained what happened to the balance of that very profitable commodity. Behind every great fortune there is a crime, insisted Balzac. That cynical aphorism isn’t true of private industry. It is reliably true of people who prosper in the field of law enforcement. It is in the interest of our Federal overseers to ensure that “local” sheriffs, police, and prosecutors are deeply compromised. When the state bites with its stolen teeth as it did at the roadblock on Highway 395, it falls on those mired in the bowels of the beast – people like Sheriff Nelson and Dan Norris – to do the filthy work necessary to preserve the pretense of legitimacy. My friends, I am in urgent need of your help. If you can, please donate to help keep Pro Libertate on-line. Thank you, and God bless! Not suprise in either case: not suprised they missed, seen them in action...not suprised they tried...seen them in action. It is all very interesting and tragic but let's face it..........so what? Nothing ever changes except one is dead and the rest are facing federal sentences most a minimum of ten years. Short of an all out prolonged guerrilla assault on the feds, is there really any thought that anything will change? I doubt it. Vey sad and very scary. Frenchy - listen to the interviews of the two females that were in the truck with LaVoy. The evidence regarding that matter is clear. Interesting, but not surprising, that the only video of Mr. Finicum being murdered is a doctored tape taken from an aircraft. And by now, TPTB have had plenty of time to doctor the record of any audio or any video from GoPro type cameras that the LEO's on the ground were using. Re: a shot through the top-clip of LaVoy's truck: It's likely that there was more than one aircraft above the ambush. And it's pretty well settled that during Waco, gunfire was being rained down on the Branch Davidian's church property by helicopters. The honest truth is, if the decent hard working citizens who are going to work every day and raising families knew the truth about who these people really are in government. They would refuse to allow them in their homes, because they would never allow such filth under their roofs. But these decent citizens don't know the truth about these government types because of an aiding and abetting media. A media that holds complete contempt for such decent citizens because these citizen believe in the word of God by far and large, truth be known. Talk about serious mental health issues, these government types have created a self serving way of compartmentalizations that they are honest and decent people. The sad thing is, one can't make this stuff up. He loaded them with well earned scorn! Cold blooded murder the tapes now show! To insure the rancher's ox was gored! If they so much as singe a federal tree! To insure the ranchers won't be around! And the Feds won't stand for a fair fight! But his blood has watered the Patriot tree! I watched this particular weed for the first time tonight. As I watched horrified my heart pounding my pulse racing my tears begin to stream knowing what would be coming up soon and I screamed and I screamed out loud terrified terrified for the individuals left in the vehicle the horror experience the terrifying moments of anxiety of annoying and not believing this could possibly be happening was just a disgusting disgusting display a complete and total police brutality and verified the ugly ugly face of the United States of America. I challenge all those who save these individuals were terrorists. My goodness all I can see are patriots people acting within the law to defend all of us. I stand behind all Americans are United States citizens who challenged the police brutality the federal government any and all who would take us from the place of Serenity and happiness in this United States of America should be it is beyond a shadow of a doubt that we live in Lawless country.